Tribal Titanium Ring For Men : LOVE2HAVE in the UK! 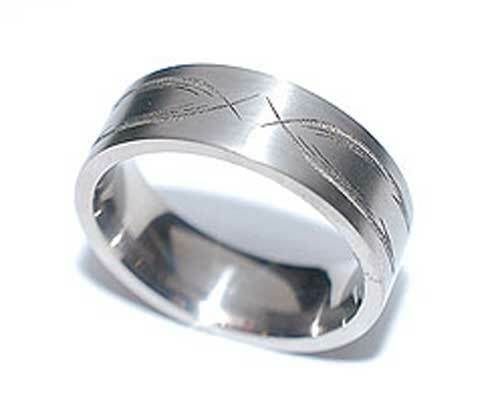 A flat profile titanium ring for men from our laser collection. This particular ring features a subtle tribal styled outer engraving. Tribal graphics and designs are mainly used these days for tattoos, so we thought why not feature them also on men's jewellery. The pattern is very contemporary in design and repeats around the rings outer. It measures 7mm in width and comes in a polished finish. The designer tells us that other widths are available also so, please contact us for further details.